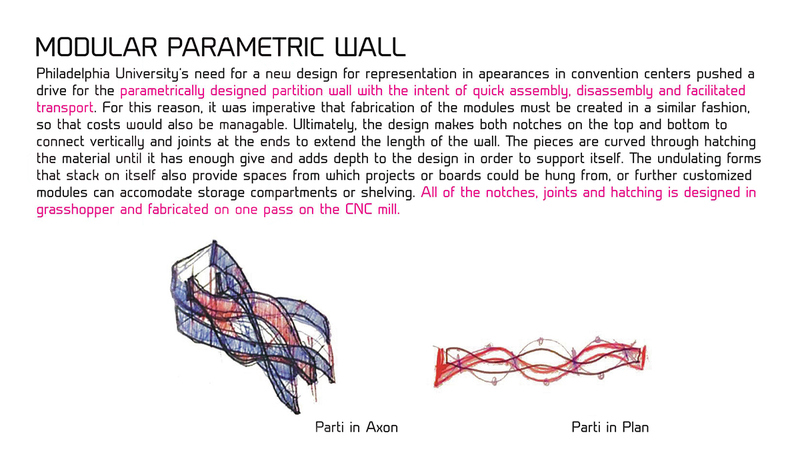 Philadelphia University's need for a new design for representation in appearances in convention centers pushed a drive for the parametrically designed partition wall with the intent of quick assembly and facilitated transport. For this reason, it was imperative that fabrication of the modules must be created in a similar fashion, so that costs could also be manageable. Ultimately, the design makes both notches on the top and bottom to connect vertically and joints at the ends to extend the length of the wall. The pieces are curved through hatching the material until it has enough give and adds depth to the design in order to support itself. 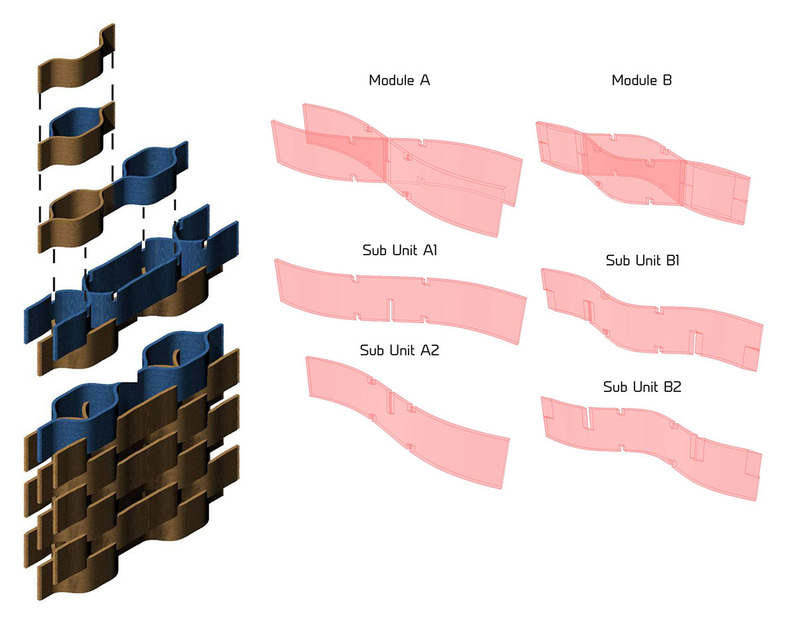 The undulating forms that stack on itself also provide spaces from which projects or boards could be hung from or further customized modules can accommodate storage compartments or shelving. All of the notches, joints and hatching is designed in grasshopper and fabricated one pass on the CNC mill.